Technical Rescue Teams provide a cost savings alternative to maintaining equipment and personnel for an onsite team. Our Rescue Teams provide emergency retrieval systems, supplied air units, personal protective equipment and medical trauma kits for potential rescue in IDLH atmospheres. Rescue personnel monitor all activities inside and outside the space to ensure a safe confined-space entry. When your workers are in a confined environment, safety and compliance are top priorities. 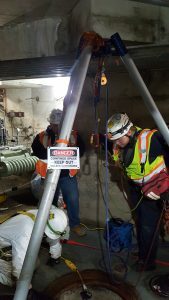 Rescue Solutions can help you protect the safety of your people and limit your company’s liability by assigning a confined space crew to your project to help you plan for every contingency. Our skilled rescue teams can also stand ready during operations to provide the highest levels of protection and safety for your valued personnel. In addition to water rescue classes, Rescue Solutions provides water rescue stand-by services to industries working in, on or above the water. Our Swiftwater Rescue personal are trained to insure that all hazards have been identified and communicated to the client and a risk analysis is performed. Our instructors have been teaching water and rope rescue classes for Rescue 3 International for over 15 years. Rescue Solutions has provided water rescue/safety teams for movie sets in the river and lake settings as well as Hydro Electric personal working at dams/penstocks and other water conveyance facilities. With a 17.5′ Zodiac, 14′ whitewater raft, 12′ whitewater cataraft and river boards we can safely secure any water operation. Rescue Solutions offers classes, workshops and professional training in Confined Space Rescue, Rope Access and Swiftwater Rescue. 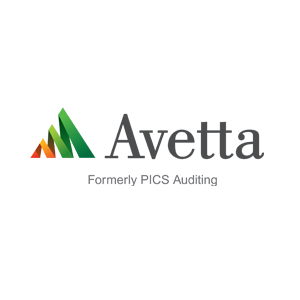 Rescue Solutions is a pre-qualified member of PICS safety auditing. Thanks so much Ron. I did indeed have an Outstanding time. You, your girls & Dwayne are great ambassadors for your company and rural Californians.